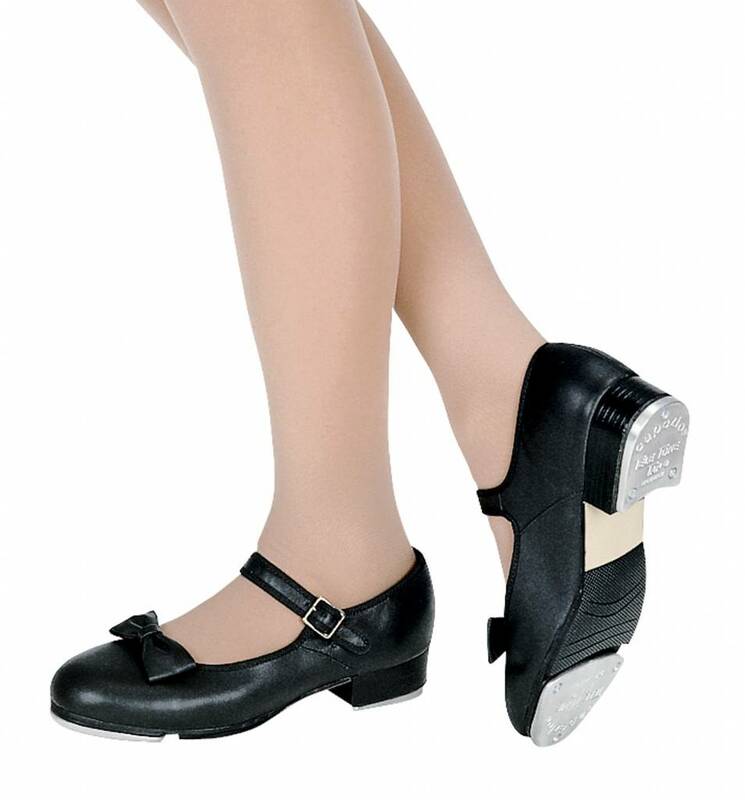 This shoe is made with a wide leather upper with pre-attached Tele Tone® toe and heel taps mounted on fiberboard. It has minimal toe spring and a micro rubber outsole for strength and flexibility. Foam insole provides shock absorption and added comfort, as well as a cotton socklining and hung lining. 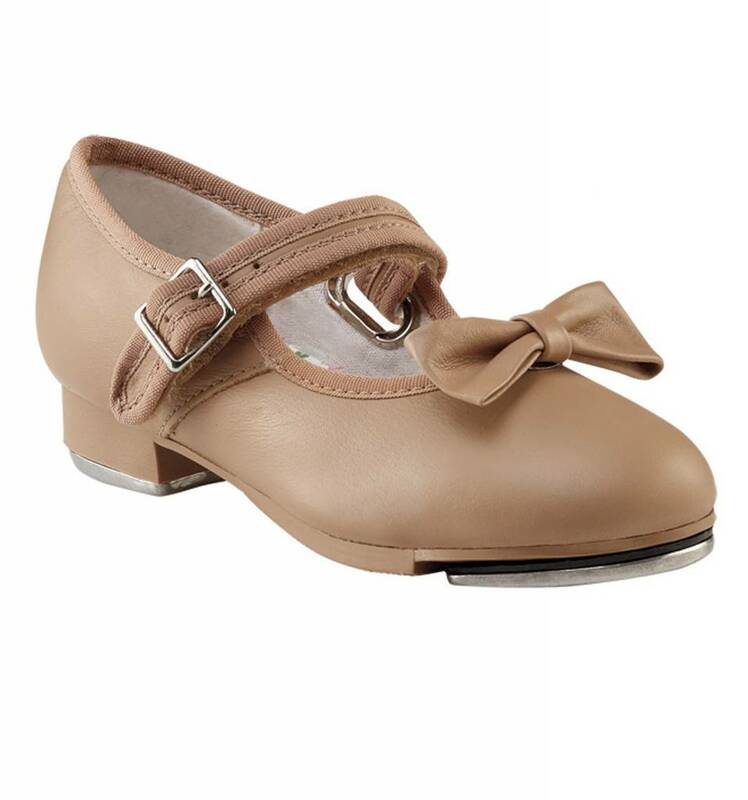 The outer sole has a scored rubber non-skid pad and non-slip heel counter, and a harder micro rubber heel matches the shoe color. Buckle closure.